I left NC this morning to head to Alaska. 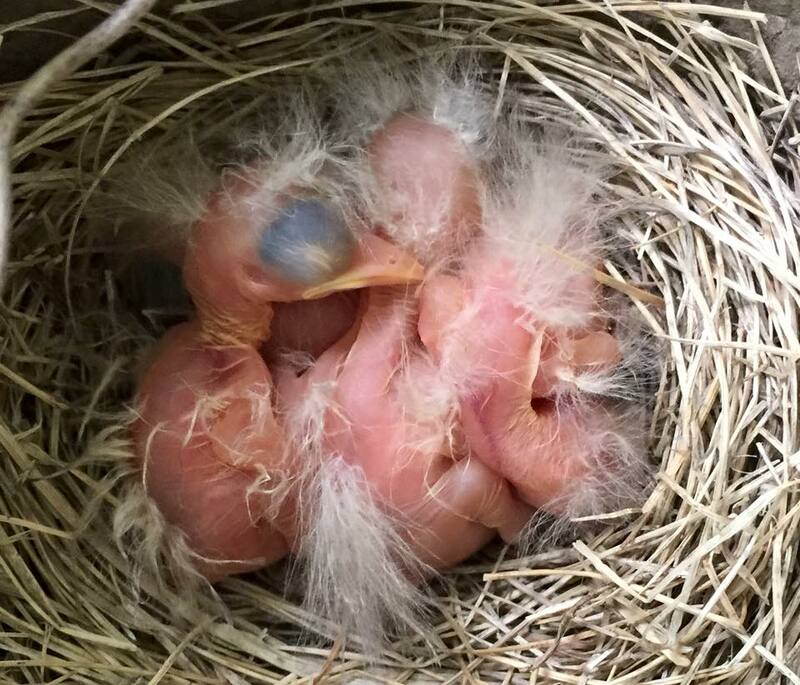 As I left, I took a peek at the 4 baby birds who hatched the day before my departure. I also grabbed a few of the lilies of the valley (my favorite flowers) that bloomed before I left. Two special treats to send me off and help me remember how special home is. On to Alaska! I won’t be around to document the growth and fledging of these birds. But you can see some photos I took of a previous year’s nestlings (click here for the archive – scroll through for the full set of posts–they are in reverse order)! This nest has been used for the last 4 years to successfully raise 3-4 birds each year. This entry was posted in Photographs and tagged baby robin, robin on April 30, 2015 by Karyn Traphagen.